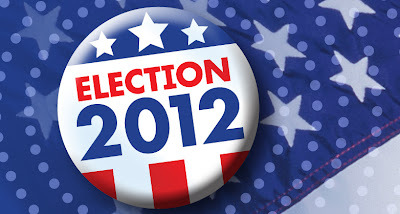 The US election 2012 is today. The election is always on the first Tuesday after the first Monday in November, it has always been like that. Erling, Julia and I would like to ask a few questions about election that is today. We would like to first write about both candidates and what they stand for, then compare their politics, the conclusion and what differences\changes will be if Romney wins. Barack Hussein Obama II, american lawyer, first African American president of the US. He was born August 4th, 1961 in Honolulu. 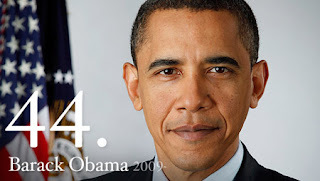 He represents the democratic party as the 44 president in the row. The democratic party is more into the state and want to include all the people in the country. They also want to introduce a health reform and they are into including the people in the society. Mitt Romney represent the republican party. The republicans want the people to take care of them self and they are very conservative. They don't want to pay taxes because they don't want to give money to the government. They are against abortion, but they support the weapon law. It's always okay to compare the opponents when you're wondering who you want to support. 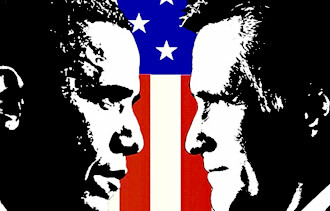 As a group we would like to compare Obama's and Romney's politics. supported the federal accountability standards of No Child Left Behind law. Obama achieved landmark overhaul putting U.S. on path to universal coverage now that Supreme Court has upheld the law's mandate for almost everyone to obtain insurance. On the other side we find Romney who promises to work for the repeal of the federal health care law modeled largely after his universal health care achievement in Massachusetts because he says states, not Washington, should drive policy on the uninsured. The republican party stands for that issued directive in June that immigrants brought illegally to the United States as children be exempted from deportation and granted work permits if they apply, a step that could benefit 800,000 to 1.4 million. "It's a temporary measure that lets us focus our resources wisely while offering some justice to these young people." According to Romney who want favors U.S.-Mexico border fence, opposes education benefits to undocumented immigrants. Opposes offering legal status to undocumented immigrants who attend college, but would do so for those who serve in the armed forces. Obama supports abortion rights. Health care law requires contraceptives to be available for free for women enrolled in workplace health plans, including access to morning-after pill, which does not terminate a pregnancy but is considered tantamount to an abortion pill by some religious conservatives. On the other hand we find Romney who opposes abortion rights. Previously supported them. Says state law should guide abortion rights, and Roe v.
Click here for more information about Obama's and Romney's politics. Would it be any differences if Mitt Romney win? *He wants to provide the health care. *People have to take care of themselves. Hi! This was a really great blogpost! I did not know that Mitt Romney had previously been supporting abortions rights! I have always thought he were against them since he is in the republican party. I did also not know that Obama is a lawyer! But, not suprisingly he must have a high profession with a high education when he is a president. Or I dont think he must have it, but I think most candidates for the US Presidental Election has :) I thought the small information boxes were really interesting, and it was easy to read and not messy! I think it was a very good outline! Wow! Really well written plus the text has a good structure. 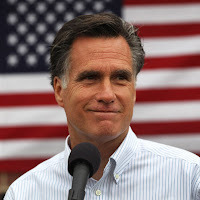 Well, two things I did not know was that Romney supported abortion at one point, he has been a Mormon his hole life so that makes it interesting. Another thing that surprised me was that Obama is older then Romney! (Not to be mean or anything but Romney looks a loot older then Obama). Really good post! :) I didn't know that Romney doesn't want the people to pay taxes and that he's against abortion rights. Great post! I really liked the last part were you wrote about the differences that we would see if Mitt Romney won. That part were really informative. Really well written and nice structure.